Sports fans should be pleased to learn that Sky Deutschland customers will be the first ones to enjoy the best football matches in Germany and Austria live in Ultra HD... four times higher than HD. SES S.A. (Euronext Paris and Luxembourg Stock Exchange: SESG) announced today that German pay-TV broadcaster Sky Deutschland will be launching two exclusive Ultra HD channels via SES’s prime orbital position of 19.2 degrees East in autumn. 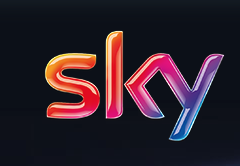 Sky Deutschland will show one game per each Bundesliga match day on Sky Sport Bundesliga UHD and selected games from the UEFA Champions League on Sky Sport UHD – all in video resolution that is four times higher than HD.